As we are independent Surveyors that deal with all types of property related work and are happy to help you with property problems. 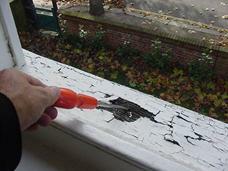 We have carried out surveys over many years on most property issues. Our structural surveys have identified rising damp, lateral damp, penetrating damp as well as black mould, condensation, thermal bridging, roof problems and structural problems along with many other issues and believe saved our clients money. With our building surveys of flats we are very well aware you have a liability, albeit a percentage liability for the property as a whole and as such we not only look at the specific flat/apartment that you are buying we also look at the surrounding properties and the specific requirements to these. Call us on free phone 0800 298 5424 for a friendly chat about your property. IThe circles and ovals are a system that we used within our structural surveys and building surveys to highlight problem areas so that you are not left wondering what the problem is. In addition to this if the photographs do not we believe explain the problem enough together with our survey report we also add in one of our own sketches such as the example that is shown here. Without doubt buying your first property is a major step (and you can often feel like you are reliving the nightmare when you come to buy your second or third property) and often a very costly one and also often a very big learning curve. We find most people generally look forward to buying their first property in the first few weeks and generally get pleasure from the process, although we would say that as time goes on people get very disturbed with the process of buying a property. We would also say that without doubt people say that it is more expensive than they expected. This article looks at modern purpose built flats that you may see and characteristic items that Surveyors will identify for you although we do have to say that nothing is as good as getting your own structural survey and meeting your own Surveyor at the property. We are certainly promoting our services 1stAssociated.co.uk call us for a friendly chat on 0800 298 5424. 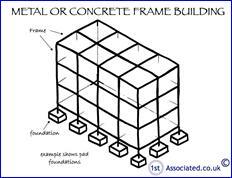 A modern flat is a term used for buildings built around the 2000 era and often built on a structural frame. Roofs of modern purpose built flats can be anything from slate to concrete tile or even a concrete tile that looks like a slate tile dependent upon the area Planning Department requirements dictate. For example: In a predominately Victorian area the Planners may require slate roofs. 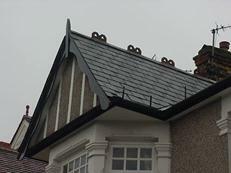 Whilst the Victorian houses will originally have had natural slates it is very often that these are replaced by a manmade slate which can be a completely different product and have problems. 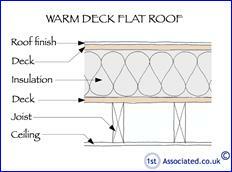 Although we have used flat roofs for many decades we still seem to have problems associated with flat roofs. We are also seeing on modern properties mono-ply or single ply roofs which are a rubberised or plastic type of roof which has been used very commonly on commercial properties. In the course of our commercial property surveys come across many problems with these types of roofs. 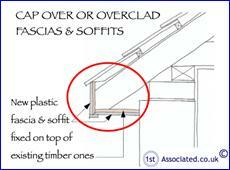 Make sure you have a Surveyor to look at your flat who has experience of commercial properties or these types of roofs so that they understand the materials being used. 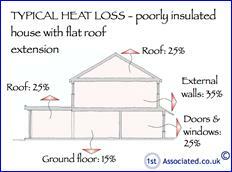 Remember flat roofs can be a major source of heat leaking out of the property. 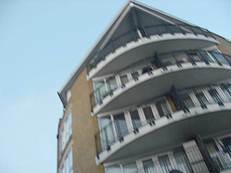 Modern render; often modern flats have modern render systems which look like the render of old but are nothing like it in the way they perform or in our knowledge of the render. We still believe that the jury is still out with regard to performance of what is known as structural insulation panels (SIP's) which are rendered. We can see that some SIP's are starting to have pattern staining. 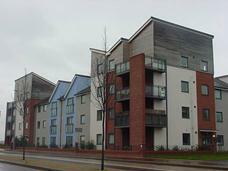 External walls to modern flats often have a cladding finish which can be timber or plastic which looks like timber. 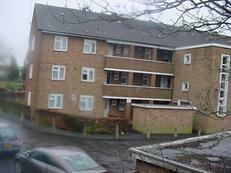 We have seen that much of the timber cladding to modern purpose built blocks of flats deteriorates darkening quickly. 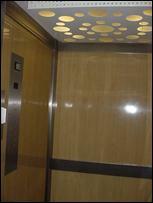 This cladding is known as rain cladding and adds a protective layer before the building itself. 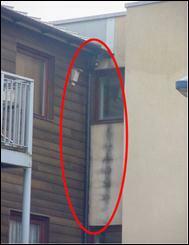 We have already had one case where the rain cladding has failed on a modern block of flats. 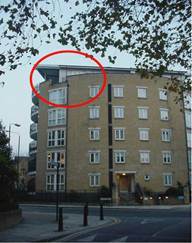 Typically modern purpose built flats are built with Stretcher bond brickwork which allows insulation to be added in the cavity. Windows of modern built blocks of flats will be double glazed. Often windows are timber framed and we are finding that the timber is relatively poor quality. Unless timber framed windows are redecorated very frequently they can deteriorate. Whilst a lift can be very handy it is always good to have stairs should the lift breakdown as well as in a worst case scenario of a fire. 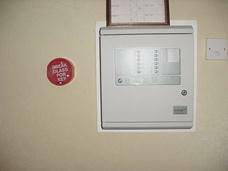 We always suggest when you purchase a property that you walk the fire exit stairs. 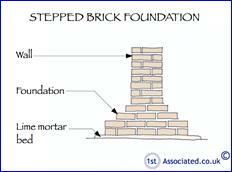 Foundations have changed considerably over the years, most Victorian properties have stepped brick foundations or stone foundations dependent upon where you are in the country whereas a modern property tends to have a deep strip concrete foundation or a pilled foundation. Modern apartments also tend to have integrated fire alarms, security systems in the form of door entry access security etc. Many modern flats are more akin to commercial properties than to residential properties so make sure that your Surveyor understands commercial properties and the materials used. Although it has to be said as land has got scarcer and we tend to built higher there are cost implications to living in a building of over three storeys due to access requirements and health and safety needs. Scaffolding is likely to be required when any repairs are necessary to high level areas or good cherrypickers or scissor lifts. 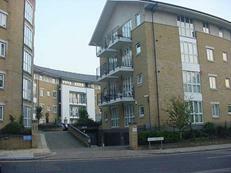 Whilst the 1960s/1970s block of flats is likely to suffer from thermal bridging the modern 2000s purpose built flats with modern insulation and construction techniques is unlikely to suffer from this condition. 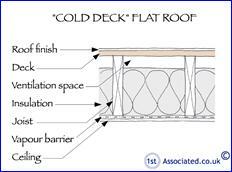 Thermal bridging is caused by a colder element in the structure allowing coldness to pass through the structure much quicker when warm moist air is present in the property. 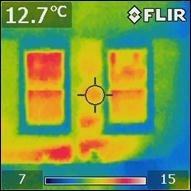 We can carry out thermal imaging of your property to help to identify heat loss from the building and give advice as to how to reduce this occurance.